Many Jeep owners enjoy taking their SUVs off the beaten path, and we certainly can’t blame them. After all, the brand’s variety of vehicles are among lithe best off-roaders in the industry, so drivers shouldn’t be shy about driving their Jeeps on the beach or in the woods. However, when off-roading, some Jeep owners may recognize that their vehicle is unable to overcome every obstacle that they come across. Fortunately, there’s a way to transform your already-capable off-roader into the best-possible off-roader. Lift kits help increase your Jeep’s ground clearance, making it easier to travel through those uneven or unfamiliar terrains. These modifications also allow owners to install larger tires, which can be especially helpful when you’re traveling through dirt or mud. Jeep owners are certainly familiar with those monstrous lifts, but we wouldn’t blame you if you’re seeking an option that isn’t so dramatic. Fortunately, there are smaller alternatives that will slightly modify your SUV. The customization of your Jeep’s mechanics won’t be as drastic as the changes that accompany larger lift kits. Rather, mechanics will likely add coil spacers beneath the stock springs, providing a slight increase in height. Long shackles are often included out back, although you could opt for blocks if your Jeep has the proper springs. Fortunately, these smaller lift kits are not particularly difficult to install, so you and your mechanic shouldn’t have any issues determining which route is right for you and your Jeep. The smaller lift kits are generally relied on to provide an extra couple of inches of clearance room. While larger lift kits could increase your ground clearance by significant amounts, these smaller options will provide a bit of height to your standard Jeep. These smaller kits can even be useful to those who are seeking larger tires, as they should adequately fit 31-inch wheels. By slightly modifying your ride, you won’t be compromising your Jeep’s driving capabilities. While some lift kits could completely alter how the vehicle travels and operates, a small lift kit should result in little or no changes. Best of all, these smaller lift kits are generally affordable, so you won’t have to stretch your paycheck to afford this modification. Furthermore, installation is often quick, painless, and inexpensive, so you shouldn’t have any excuse not to visit a professional. While you may eventually wish that you had opted for a larger lift kit, the presence of a smaller unit shouldn’t compromise this possibility. As long as you have a reliable installer or mechanic, you should be able to swap out the smaller lift kit for a larger alternative. A one to two-inch increase in ground clearance may seem insignificant, but a five or even six-inch lift may seem too over the top. For those seeking a middle ground, the medium lift is the perfect option. The two to three-inch increase in ground clearance will surely be appreciated while off-roading, and drivers will especially notice the improvement when they’re traveling rocky, uneven terrain. That’s not all the medium lift provides, however. These modifications will also allow you to install larger tires, with 32-inch to 34-inch tires often the most compatible with these types of lifts. While medium lifts shouldn’t require many additional modifications, some Jeep owners may find that they need to add several additional parts to their SUV to accommodate these changes. For instance, wheel spacers or new brake lines may be necessary if you’ve added new wheels. Fortunately, these parts are generally inexpensive. Meanwhile, if you’re looking to modify a recently purchased Jeep, you may need to switch up your driveshaft. This mechanical alteration won’t be necessary for manual SUVs, as the drive shaft will continue to work competently, regardless of the modifications. However, on automatic versions of a Jeep, a new drive shaft may be necessary. In these situations, it may be best to also install brand new shocks. Of course, on the flip side, drivers will surely notice a decrease in power as a result of the medium lift. Some owners may not care about the difference in horsepower or torque, but others may be longing for that extra boost. In this scenario, an owner could look to reconfigure the gears, which should unlock some additional power. This option is for those who are looking to turn their Jeeps into hulking behemoths. Not only will you be maximizing your vehicle’s off-roading capabilities, but you’ll also be transforming your SUV into one of the most intimidating vehicles on the road. The off-roading benefits are rather obvious. Jeep owners can expect at least four inches of ground clearance when they install these larger lift kits, with some brands touting that they can increase the height of your vehicle by six inches. Your Jeep will have no issues overcoming obstacles while traversing any terrain, and you’ll even notice an improvement when traveling in inclement weather. Of course, these lift kits often require new tires, as the standard versions are inadequate when it comes to this amount of ground clearance. Most modifiers suggest installing 35-inch tires to a Jeep equipped with a large lift kit. Of course, adding a larger lift kit is a lot trickier than those smaller alternatives. The installation requires a number of additional parts and should be left to a professional. These larger lifts require some intensive modifications, and one mistake could completely compromise the integrity of your vehicle. For instance, the entire front-end of your Jeep will likely be changed, and any improper installations could result in a dangerous crash. While you may not want to dish out the money for a professional, it will surely save you some trouble in the long run. Furthermore, these lift kits are more expensive than the smaller versions. However, Jeep owners would presumably recognize the financial obligations of such a drastic modification. Of course, if you have any questions, a professional Jeep expert will be more than willing to help. 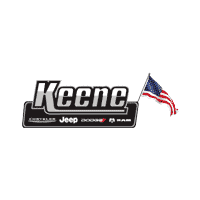 If you live in the Keene area, visit the knowledgeable technicians at Keene Chrysler Dodge Jeep Ram. 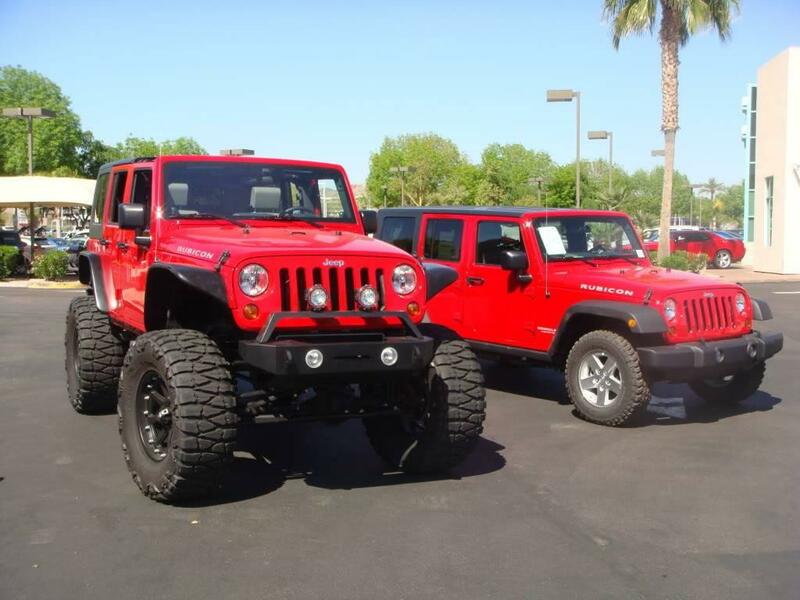 The staff will be happy to assist you as you search for the perfect lift kit or already lifted Jeep.